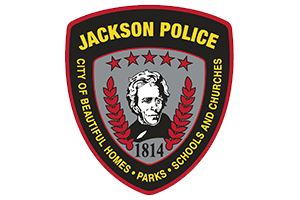 The City of Jackson and Jokerst, Inc. is currently underway with the work being performed under the Water System Facility Plan Implementation Project. Due to an error by a third-party entity, an unscheduled road closure at the intersection of N. Bellevue St. and E. Washington St. will be in effect starting on Tuesday, November 6, at 7:00 A.M. This street closure is projected to last until Friday, November 9, at 5:00 P.M., weather pending. A map has been attached showing the closure area and the preferred detour route to be used during the time of the road closure. Signs will also be posted to assist motorists along the detour route. The road will be closed to local traffic only during this time. City officials urge citizens to use extreme caution around work areas. Look for all posted caution signs, detour markers, and other informational items made available to the public. City officials, staff, and contractors are continuing to work hard to better the roads and utilities for the citizens of Jackson. The City apologizes for any inconveniences that may occur during this construction. If you have any questions or concerns, please feel welcome to contact the Public Works Department at 573-243-2300, visit us online at jacksonmo.org, or connect with us on Facebook.